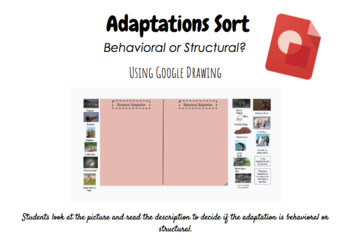 Students use google drawing to sort animals into two categories - structural and behavioral. There is a picture and description to go along with each. All using Google Drawing!